Independence and freedom from troubled marriages comes at a high price. After the Fourth of July BBQs are over and after the fireworks are gone, many Americans are thankful for the independence they have today but this may not extend to everyone. Many are still trapped in a troubled marriage and trying to reestablish their independence even though the price of freedom doesn’t come cheap. Pew Research Center recently conducted an analysis of each parent’s total workload, comprising paid work, child care and housework. It found that in dual-income households, fathers put in, on average, 58 hours a week, compared with 59 hours for mothers but the distribution between paid work, housework and childcare was quite different. 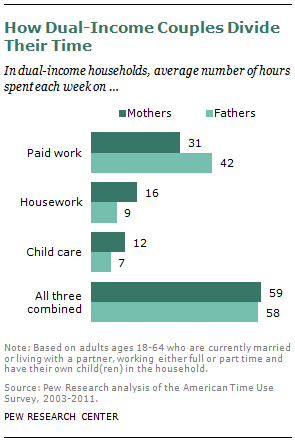 In households where the father is the sole breadwinner, his total workload exceeded that of his partner by only 11 hours (57 vs. 46 hours per week) but in households where the mother is the sole breadwinner, her total workload exceeded that of her partner by about 25 hours (58 vs. 33 hours per week). There is and it is possible to embrace life as a new dad. But seriously – is embracing fatherhood really that important? President Obama grew up without his dad, and has said that being a father is the most important job he has. According to the National Responsible Fatherhood Clearinghouse (NRFC), an Office of Family Assistance (OFA) funded national resource, “fatherlessness is a growing crisis in America, one that undergirds many of the challenges that families are facing. 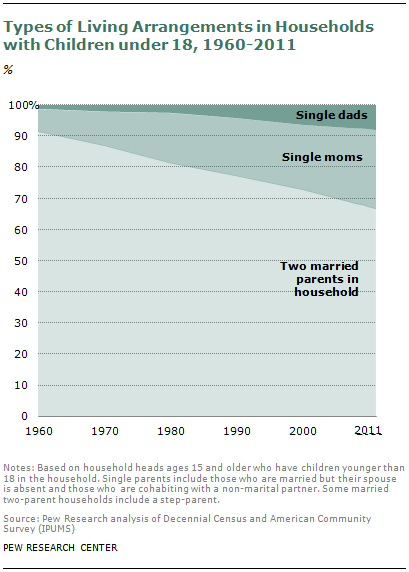 When dads aren’t around, young people are more likely to drop out of school, use drugs, be involved in the criminal justice system, and become young parents themselves.” This is not a small issue since out of the estimated 70 million fathers in the United States in 2011, about 16% or 25 million men had children younger than 18. Chill out – You need your own personal space and the opportunity to retreat into your man-cave. The only thing is – make sure your partner understands why you are doing it. You don’t want her to misconstrue it and think that you are avoiding her. Be fair. Offer her the same time out for herself. Take charge – Be responsible for some tasks. It will please her, make her appreciate you even more and contribute to the peace at home. If you can’t do it, get professional help. Hire a cleaning service. Hire a doula who can assist by providing information, physical assistance and emotional support. If your partner is having problems breastfeeding, don’t try to understand her stress. Just be as supportive as you can and get a professional lactation consultant to help. Bring out the Don Juan in you – Missing the good old days? It’s true there’s a new love in her life but she still loves you. It may be hard to tear her away from her newborn (near impossible in the beginning, actually!) but time together – alone – can help rebuild the intimacy in your relationship. Give her alternatives she can be comfortable with, like getting a trusted family member or friend to help babysit for an hour or two. Be Sherlock Holmes – Do you feel she’s not the same woman you fell in love with and she’s taking you on an emotional rollercoaster which you just can’t wait to get away from? In some cases, she may be experiencing some level of postpartum depression. According to womenshealth.gov, about 13 percent of pregnant women and new mothers have depression. Seek advice from a doctor. You can’t handle this alone. Pay it forward – Take the President’s Fatherhood Pledge. That’s why President Obama is joining dads from across the nation in a fatherhood pledge – a pledge that fathers will do everything they can to be there for their children and for young people whose dads are not around. So, how are you going to make your Father’s Day different this year?